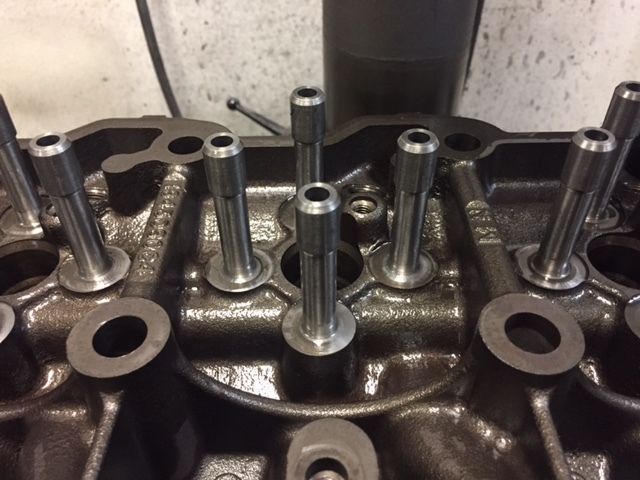 We make our 6.0 and 6.4 Ford diesel cylinder heads as bullet proof as is possible and back them with a no fault Lifetime Warranty! 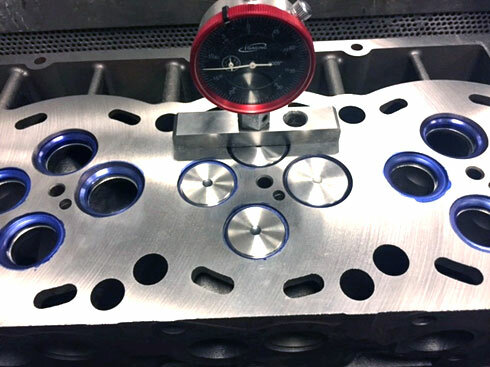 All our Ford diesel cylinder heads are custom built to whatever you want. They all come with alloy hardened valve guides, nickel-chrome seats, Ford O.E. 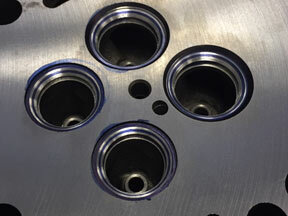 injector cups, hardened locks, upgrade Viton valve seals etc. 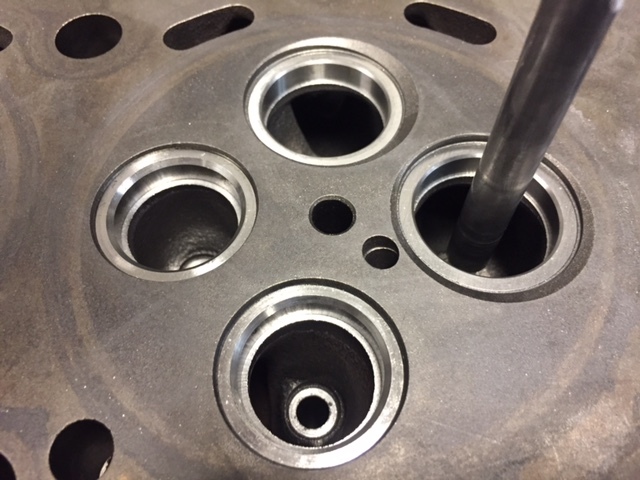 From there, you can add stainless steel “O” rings, upgrade valve springs to match your camshaft, undercut valves….. You’re the boss, you tell us! And they still come with our no fault Lifetime Warranty! They should have added ‘if you don’t care how long they last’! 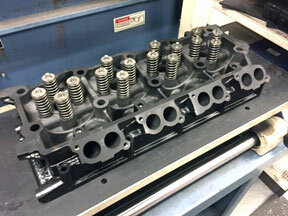 Get A Free Quote For Ford Head Rebuilds! Cracks in cast iron will grow, period. It’s called propagation. If a future event is bad enough, you may wind up pulling the cab again and doing it all over. 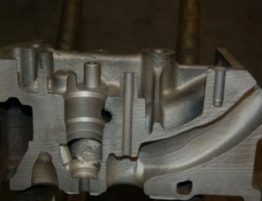 Below is a picture of a typical seat fracture in Ford 6.0 and 6.4 diesel cylinder heads. If you’re not familiar with these types of seats they are integrally cast meaning they are just part of the cast iron head. 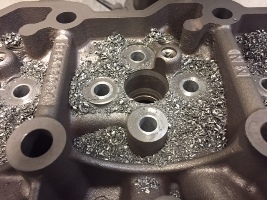 They cast the cylinder head and machine seats into the iron. The problem is the seat is only as strong as the cast iron. 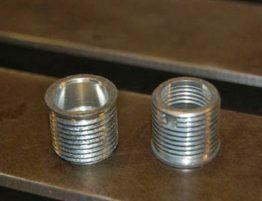 Detroit, Cummins, Caterpillar, Mercedes and all the rest of the heavy-duty diesels install heavy-duty valve seat inserts, typically a Nickel Hi-Chrome alloy material. 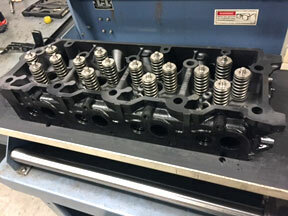 Following is how we rebuild Ford 6.0 and 6.4 cylinder heads so you never have a problem again. After a 10 minute spray wash, next step after we check thickness and that it’s a Ford O.E. 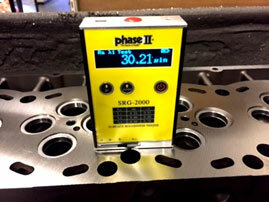 casting, is pressure test. We mount them to this plate with a rubber gasket, put 30 p.s.i. air pressure in them and submerge them in water. 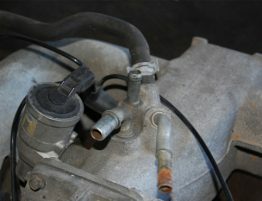 Even if you can’t see the leak, you’ll darn sure see the bubbles. Last cleaning step, thermal clean and shot peen (stress relieve). Finally, we can machine. 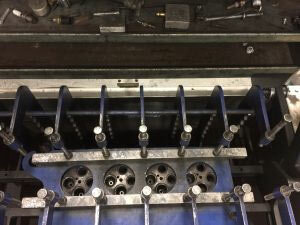 First is to bore out all the old cast guides, load in the new hi-tensile alloy guides and press them in place. Next is to counter bore for new intake and exhaust seat inserts and install. 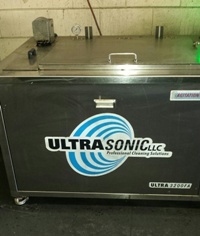 We pay particular attention to the crush (.005″ +.0005/-.0000). Nothing will ruin our day worse than a seat coming out (yours either). 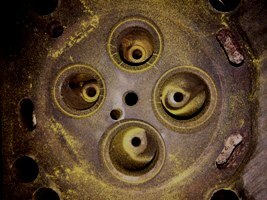 Resurfacing these cylinder heads has always been a debate. Ford says “DO NOT SURFACE”. Why not? I’m an old knuckle buster and it never made sense to me. What possible difference could .003” make? It took me a while to find out why. 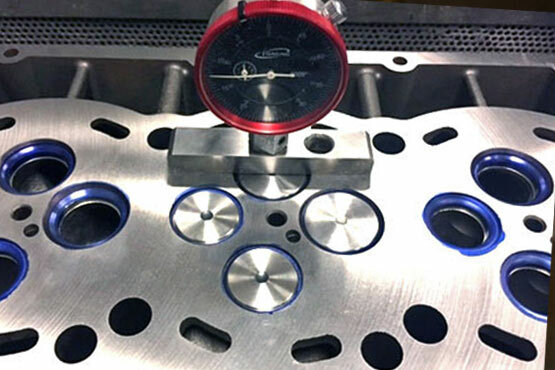 A gasket engineer at Dana cleared that up, the answer is surface finish. 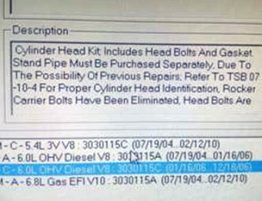 Dana has the current contract with Ford and Victor for head gaskets (had it last year too). 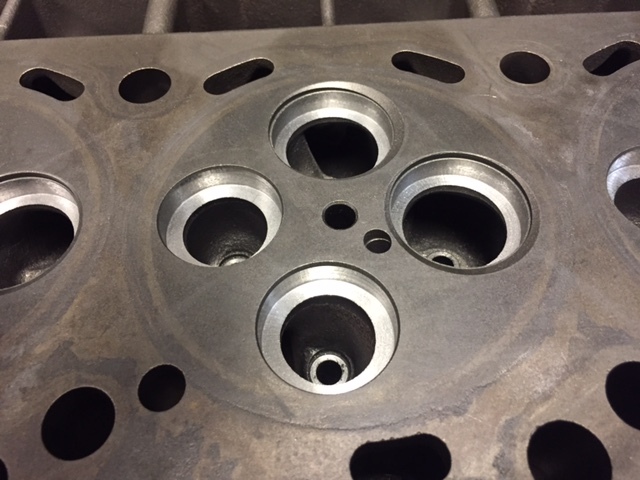 The chief gasket engineer told us the proper finish; we check every head. 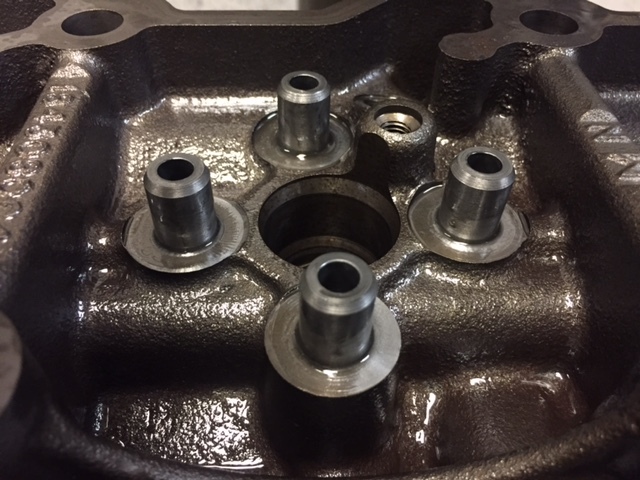 We surface before the finished seat work is done to assure the correct recess and assembled valve spring height. On the left (these are 6.0, 6.4 angles are different) we are 3 angle Carbide cutting (INT. top angle 15 degree, 30 degree seat angle .063” wide and 60 degree bottom angle, EXH. Top angle 30 degree, 37.5 degree seat angle .063” wide and 60 degree bottom angle.) 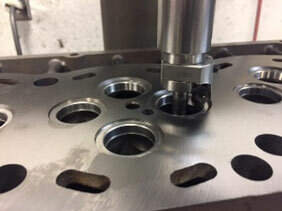 We cut the depth to .010” from finished valve recess. 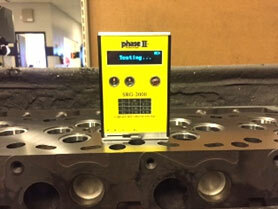 We check valve recess before final pressure test, cleaning and assembly. These lifetime guaranteed Ford 6.0 diesels are ready to ship! 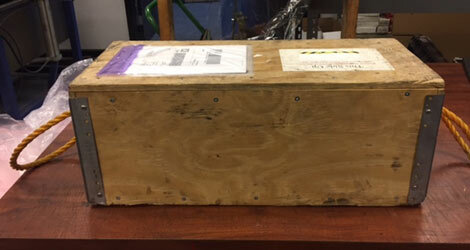 We also make our own plywood shipping boxes with no charge return shipping for your cores. This is one of 2 going to Wisconsin. Thank you so much for your time, call with any questions please. 2005 F350 SRW 6.0, cost of head replacement, Truck runs great but does have a Leak,head gasket or creak? Hi my name is Anthony I have a 05 6.0 diesel I’m looking into having my heads stud but would want to upgrade my heads in the same time brand new. I have upgrades now in my truck,planning to do bigger injectors, bigger Turbo,stage 2 Colt cam I have a SCT programmer airdog lift pump and a fuel regulator system. 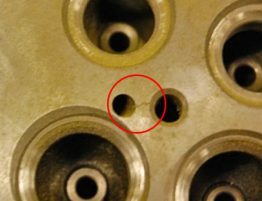 I was curious if your company do moderate head porting and bigger valves.? 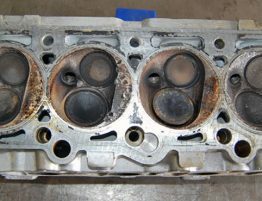 Ford 6.0-6.4 New Heads Wall of Shame. 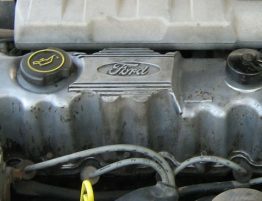 6.0 Powerstroke Rocker Arms – Ford 6.0 Problems These Ford 6.0 problems can be solved….